No other self-directed IRA administrator has the same long-term dedication to education as The Entrust Group. Helping our clients and partners expand their knowledge of self-direction and investment strategies has been integral to our business for more than 35 years. Our Learning Center is a resource for articles, whitepapers, videos, online courses, and FAQs that anyone can benefit from. 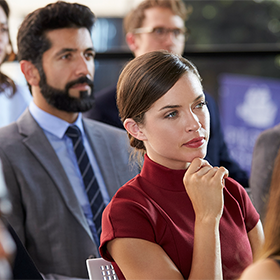 In addition, we also offer specialized training for financial and retirement advisors, CPAs, bank and trust company staff at our annual IRA Academy. Indeed, anyone involved in the retirement industry will benefit from attending the 2017 IRA Academy, to be held October 23-27 at the Rosen Plaza Hotel in Orlando, Florida. While at the IRA Academy you will learn about the history and purpose of IRAs, about their portability (transfers, rollovers, and more), legal issues specific to IRAs, the ins and outs of distributions, and become acquainted with SEPs and SIMPLE Plans, the employer-sponsored plans for small business that are based on IRAs. John-Paul Ruiz, QKA, CISP, Entrust’s Director of Professional Development is the lead instructor at the IRA Academy. He brings more than 20 years of experience in the retirement and financial services industries to his role. In addition to the formal learning sessions, there will be plenty of opportunities in class discussions, over coffee, and at an evening reception for participants to network and learn from each other. Register now for Entrust’s 2017 IRA Academy.